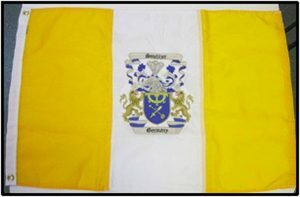 Display your Coat of Arms in pride with a machine embroidered flag. Two sizes available. 3’x5′ Machine embroidered flag with choice of color for the outside bands.